"The C6th is my favorite tuning and it's long been a dream of mine to teach it to today's players." 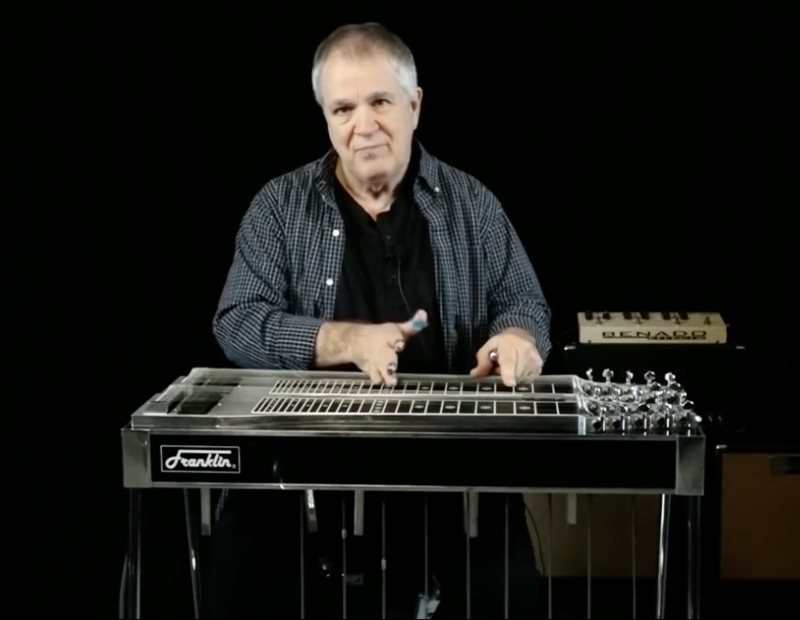 Hall of Fame pedal steeler Paul Franklin guides you through a new way to look at the C6 tuning. Dust off that back neck and get started! READY TO LEARN THE OTHER HALF OF YOUR GUITAR? Tired of carrying your D-10 around and never using the back neck? Flip the switch and learn how to chord and solo on the classic C6 tuning. Paul's approach de-mystifies the tuning and shows how the C6 neck is often easier to learn than the E9. He explains what the similarities and differences of the E9 and C6 tunings are, and why the C6 neck is more clearly aligned with music theory logic. It's not just for Western Swingers! Break out of the rut you are in on C6 and look at it as a tuning to play any style, from Country to Jazz to Pop. NEED A VIRTUAL PERSONAL TUTOR? With great camera angles, TABs and step-by-step instruction, it’s like having Paul teach you the C6 tuning in a one-on-one lesson! 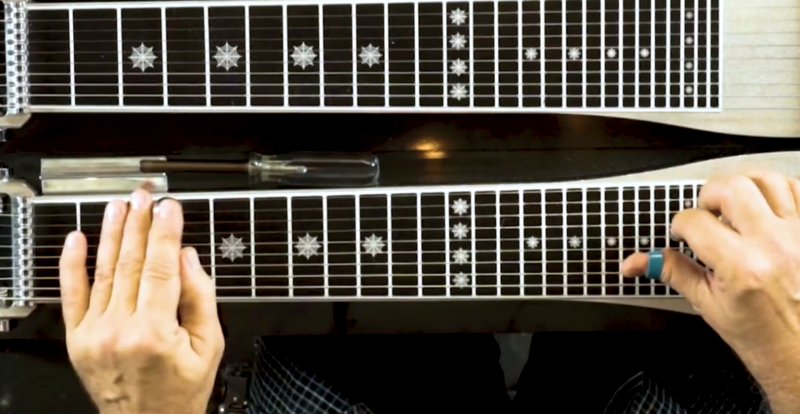 Paul de-mystifies the C6 tuning using the multiple-tonic method. Learn how to find and play the rich, lush chords that the C6 is famous for. Improvisation on the C6 is simplified using Paul's unique approach. We'll start with the tuning itself, how to memorize it as intervals, and how to look at it as "three tunings in one". From there we'll relate it to what we already know on the E9 and map out the positions on the neck where we can find the sounds we need. Big chords, close and wide voicings, warm tonality. These aspects are what makes the tuning so unique and we'll explore all of the ways to get those trademark harmonies into your playing. We've all heard the great C6 players like Buddy Emmons and Hal Rugg take off on endless flights of inspired improvisation and soloing. I'll show you where to find the sweet and spicy notes to get you started down that road. 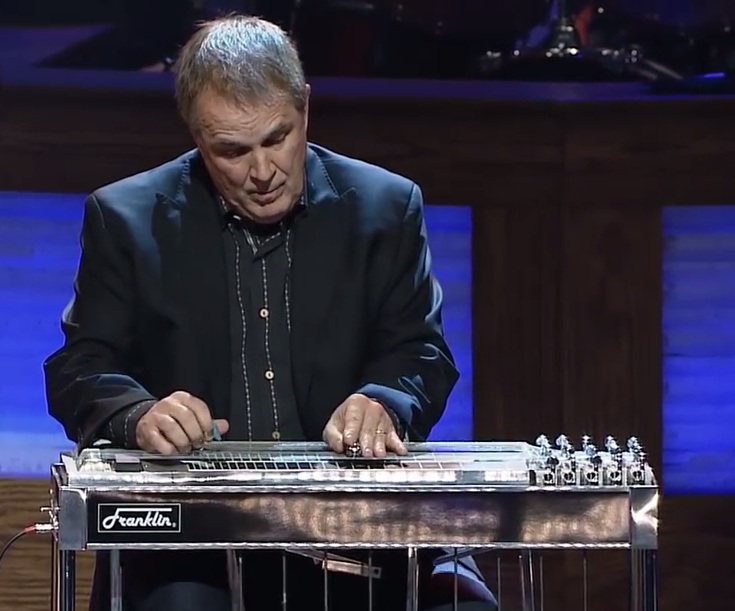 Paul Franklin began playing steel guitar at age 8. Taking lessons from a Hawaiian guitar master, he quickly progressed and when pedal steel guitars came about, he got one immediately. Paul was already gigging in local clubs at 11, and a member of the Musician’s Union. 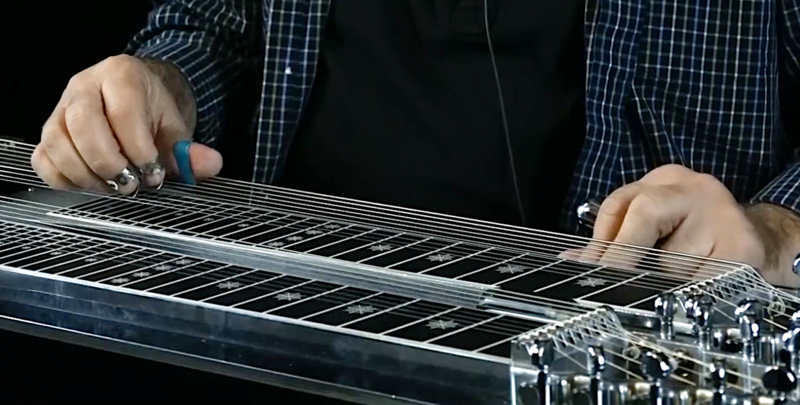 Soon calls came to the house asking for a pedal steel player for sessions in the thriving local music scene. Not only were Pop, Motown and Jazz popular, but the “Hillbilly Highway” of Southerners heading North to build cars fueled a burgeoning Country music scene. Paul got his first taste of national success as a teenager on Gallery’s “It’s So Nice To Be With You”, a #1 hit single. He also guested on Parliament’s “Country Boy” track and worked with Motown producer Dennis Coffey (of instrumental hit “Scorpio” fame). The pedal steel was being embraced by Country music, and Nashville was the place for this young prodigy to be, so he headed to Tennessee as a senior in high school to join Barbara Mandrell’s band at the invitation of her father, Irby. He also toured with Dottie West, Lynn Anderson, and Donna Fargo. Session steeler Pete Drake hired Paul to play on jingles and a few recordings. 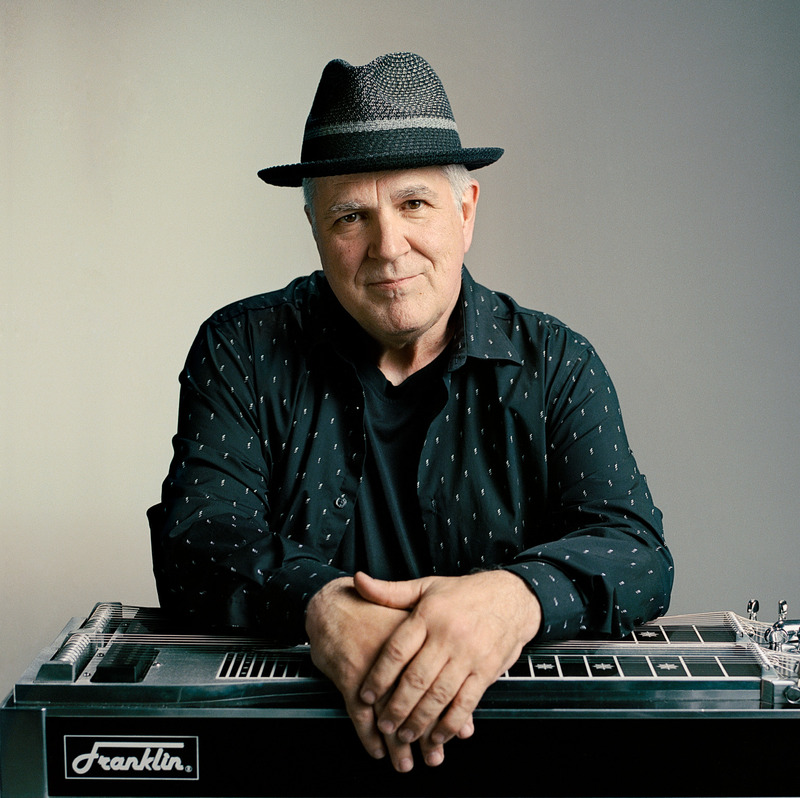 Franklin joined Jerry Reed’s band and recorded solo albums of original pedal steel instrumentals and Jazz standards. A long stint with Mel Tillis’ Statesiders playing classic country and honky-tonk with an excellent road band was next. After leaving Tillis, his studio career took off and he was featured in many of the albums of the 1980’s-2000s. In 1991 he took a call from Mark Knopfler that led to playing on The Notting Hillbillies album and eventually with Dire Straits, touring the world and recording On Every Street with them. In recent years, besides his busy studio schedule, Franklin is a member of Vince Gill’s touring band (and recorded the CMA- nominated "Bakersfield" album as a duo with Vince) and holds down the pedal steel seat with the Time Jumpers who showcase Western Swing and classic Country every Monday night at a local Nashville club. These purchase plans give you one year of immediate access to all the course lessons, with unlimited views. C6 Essentials is for players at all levels that want to begin exploring the versatile C6 tuning . You will learn the skills necessary to play at a high level, regardless of genre or style. What is the C6 Essentials course all about? The C6 Essentials course is designed to give players a contemporary approach to learning and playing the C6 tuning. Paul's modern method de-mystifies and clarifies where to find all "the good stuff on the back neck". I’ve heard about "The Paul Franklin Method". How is this course different? The Paul Franklin Method is Paul’s subscription online academy that covers everything you need to know to master both the E9 and C6 tunings. As a bonus, it also offers an optional private Facebook group where students and teacher can interact. C6 Essentials is drawn from the C6 lessons in the full Method and covers the necessary skills you'll need to play music on the C6 tuning. Isn't learning the C6 difficult? The C6 tuning is different than the E9 and requires perspective. But it is not complicated when you learn it the way Paul teaches it. Once you learn how the tuning works, the rest is practice! How much does C6 Essentials cost? C6 Essentials course is one single payment of $99. For that you get unlimited 24/7 access to the lessons for one full year. In addition, if you decide to purchase the full Paul Franklin Method, let us know and we will send you a discount code for the $99 you spent on this course. You can then apply it towards purchase of The Method. Can you explain the course format? C6 Essentials is an on-line streaming video course that you access via your device's browser. You can review the materials by watching the videos over and over, use the video player to slow things down, and print out TABs and other relevant lesson materials. The Course is comprised of video content, downloadable PDFs TABs, and MP3 Backing Tracks.